For us, building a successful Direct Marketplace can be a game changer for online media providers. To help them achieve that, we offer our unique end-to-end programmatic direct advertising solution to publishers with greater traffic. In other words, we offer you to fully automate the direct buying and selling of inventory on your websites. Programmatic deals are already a preferred buying option for leading advertising and media agencies. As a publisher you can get guaranteed impressions, control pricing and generate new revenue. At the same time, the direct buying enables agencies and advertisers to purchase ads more efficiently on brand safe sites, to target them precisely, to decrease costs and time for launching a campaign. 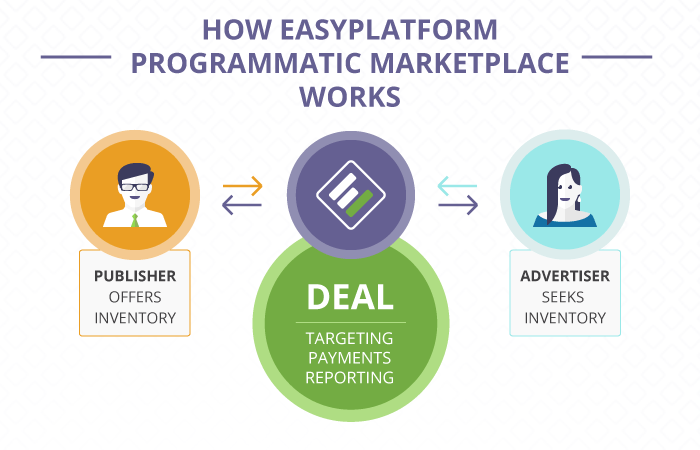 To offer your ad inventory for direct sale on the platform, you only need to describe your ad spots and apply a fair and reasonable prices to them. Then you place our tags in your current ad server and start the trial period. By listing your ad spots in a direct marketplace you make them immediately available for direct booking. Deals are sold programmatically and buyers can manage their own campaigns. The marketplace is based on our ultra-fast passback functionality, click-to-buy option, advanced targeting options (including conversion pixel based audience center) and payment gateways. Transactions are executed in minutes, not days or weeks. Payment is 100% guaranteed!